Main pouch is stretchable for carrying personal items. 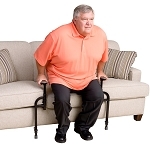 Water proof, stain resistant, bacteria/fungus resistant fabric. Inside liner pocket to securely carry and access a cell phone, iPod. Lightweight, soft to touch, washable pouch. 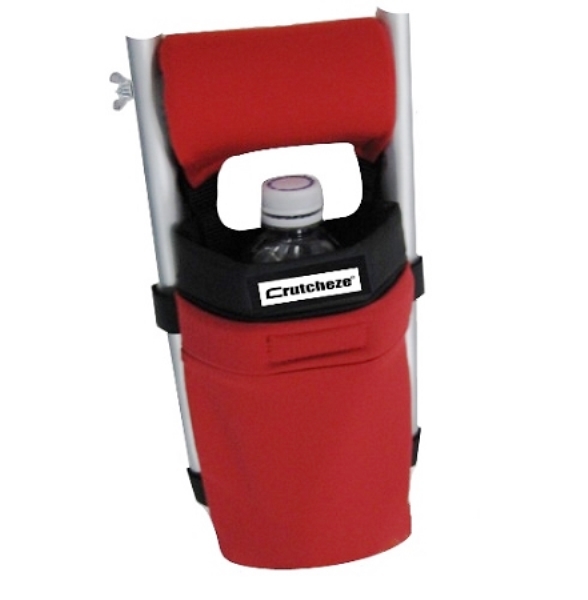 The Crutcheze Underarm Crutch Bag has one main stretchable pouch with an inside pocket for easily carrying personal items. 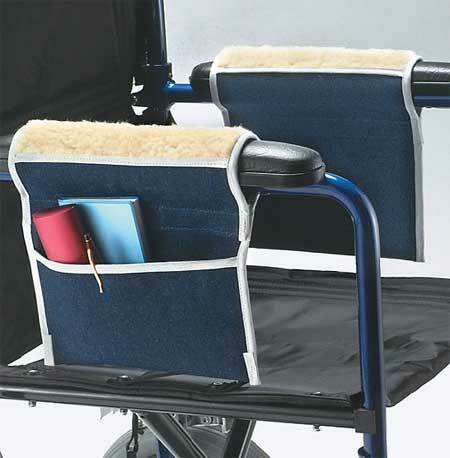 Two adjustable straps attach the bag to the crutch under the arm or at the hand grip. 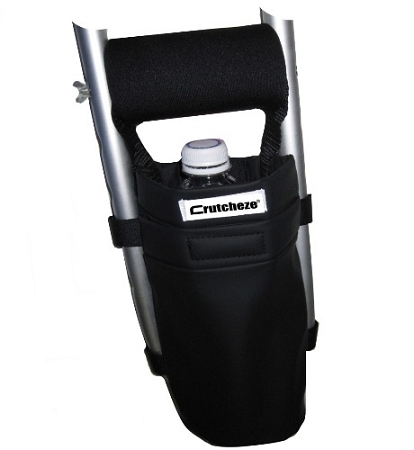 The Crutcheze Underarm Crutch Bag easily attaches to standard underarm crutches with removable, adjustable straps. 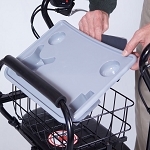 Two straps easily attach the bag to the crutch upright posts and adjust for the user to reach the bag under the arm, or at the hand grip. 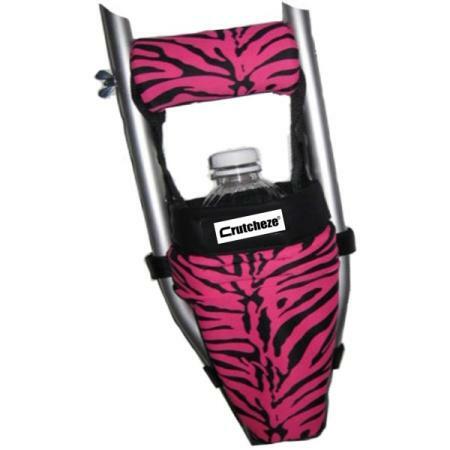 The side of the bag also has straps to secure the bag and prevent swinging. The bag is made of waterproof fabric that is stain resistant, bacteria resistant, soft to the touch and washable. 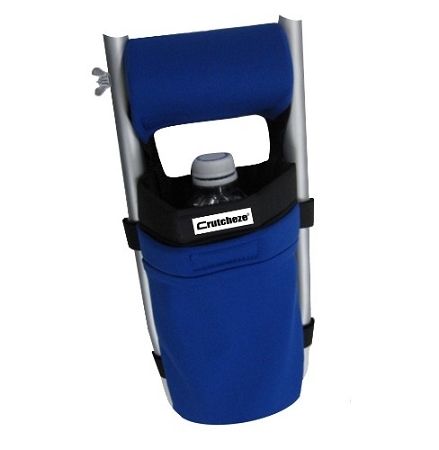 The main pouch stretches to provide plenty of room to carry water bottles, electronic devices, wallets, and other items. 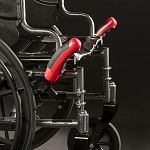 Crutch users will find this stretchable, lightweight pouch ideal for carrying personal items, and the inside liner pocket securely holds a cell phone or iPod for easy access. 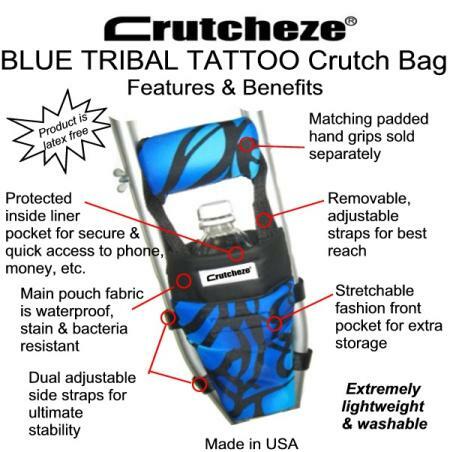 The Crutcheze Crutch Bag measures 6.5 inches wide, 9 inches long, and fits all standard underarm crutches. 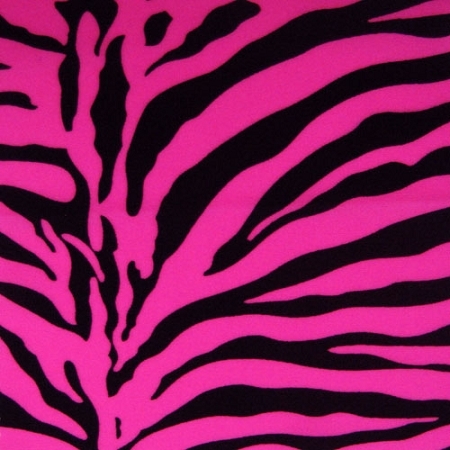 Choose from solid Black, Royal Blue, Atomic Red, or Pink Zebra pattern (other colors by special request). 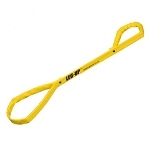 Please note, the matching padded hand grip is sold separately. 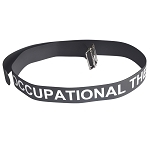 Measures: 6.5 inches wide, 9 inches long.